Audacity: How Barack Obama Defied His Critics by Jonathan Chait, Chapter 2 touches broadly on the narrative case on how the world's financial system was on the way to a disastrous plunge. As Chait was quoted that "Presidents get credit for responding to disasters such as the case of George W. Bush right after the 9-11 attacks on the World Trade Center, Obama is the first to prevent that kept them from happening". One of the fast sweeping actions then of the Obama administration was the economic stimulus program an old idea dating back to the first great depression. An idea developed by British Economist John Maynard Keynes as stated in this book. As in any financial stress or bubble even through the housing crisis etc.., consumers technically respond to the markets to cut cost across the board. Hence, job cuts to the tune of loss income and each person's spending power is affected. Central banks would then reduce interest rates convincing people to borrow than save. Through Keynes theory, the government needs to inject money directly into the economy, either way by giving money to the people or spending money worthwhile in a mere showdown of simply spending. Hence in the first depression, government made massive expenditures during World War II which is known as the "Stimulus" ending the depression that time. As Jonathan Chait explains further on his book, the fall of Lehman Brothers was so vast that monetary policy was not enough in addressing it. In spite of this, the Republic house was against Keynes theory. I guess for some the question was that if a stimulus was necessary then on Obama's actions. I remember reading reports in the last days of the Bush administration predicting the budget deficit in 2009 to be a trillion dollars which we know eventually cause the economic crisis right when Obama was sworned as President. Chapter 2 of this book was lengthy on the facts as well as the political personalities on both parties as well as touching on the bank bail outs that President Bush signed earlier and so forth. The fact is that the economic stimulus enacted when Obama took office was a success that prevented the second worst depression in this era. Bill Clinton who was known for also a sluggish economy when he took office in 1993 had a $19 Billion stimulus versus $168 Billion in 2009. Even Franklin Roosevelt today would have been amazed on the gravity of this problem. 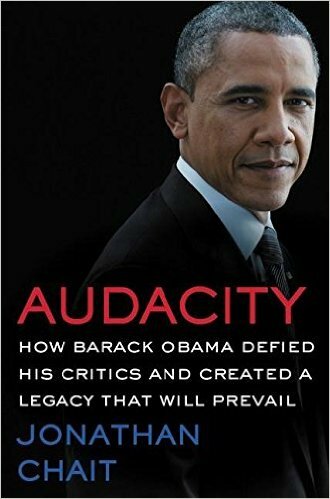 As the book title mentions, How Obama Defied His Critics as with this massive undertaking Barack Obama had to deal with the political system, it's repercussions, it's various responses as he was the first American President to enact such an enormous too aggressive for some anti-depression program. With Obama signing the enactment of the "Recovery Act" in February 2009 barely a month after being sworn in as President, this stimulus practically healed the financial distress, the stock market collapse and fixed the bad unemployment numbers then. A lot of discussions preceded on this action till today including the initial banking turmoils right after yet the program succeeded as the case may be. General Motors was on the center of this as it added to the problem then over and above the financial and banking collapse. So in March 2009, government had to inject and infuse the final stimulus of the auto industry with the clause that the industry undertake sweeping reforms itself. Likewise, the small unheard parts of this stimulus which is easier to remember is during tax time. It has a tax credit for workers at the bottom of the income scale. The idea was derived on getting more cash back into the hands of the people who could spend it back to the economy. Obama hence continuously worked on recovery throughout his administration while comparing it with past administrations like Reagan and Clinton whose administrations then also swift prosperity back to the imperil economic systems when they took office. History will write so many things about this as well as the political debates so forth as the legacy and history of the 45th President is now being studied, reviewed and written. Gauging whether Obama's measures and enactment was an enormous success will take time as it's always time until a President's legacy is fully understood in fact years after.